For millennia Indigenous Nations have cared for and actively engaged with the landscape and through our respective cultures and unique ways of life have worked to create the bio-diverse richness of the Americas. Today, the Americas are confronted by a complexity of issues and problems that Indigenous Knowledge(s) can help to address. But we’ll need to start from the beginning, opening our minds to learning, understanding and honoring the Indigenous Peoples of the Americas. This program is sponsored by the Clarke Forum for Contemporary Issues and co-sponsored by the Churchill Fund and the departments of anthropology & archaeology, American studies, psychology, environmental studies, and earth sciences. It is part of the Clarke Forum’s Leadership in an Age of Uncertainty Series and its semester theme, Indigeneity in the Americas. Dan Longboat – Roronhiakewen (He Clears the Sky) is a Turtle Clan member of the Mohawk Nation and a citizen of the Rotinonshón:ni (Haudenosaunee – People of the Longhouse), originally from Ohsweken – the Six Nations community on the Grand River. Longboat is an associate professor in the Chanie Wenjack School for Indigenous Studies at Trent University, founding director of the Indigenous Environmental Science/Studies program (IESS) and acting director of the newly formed Indigenous Environmental Institute (IEI). He was also the first director of studies of Trent’s Indigenous Studies Ph.D. program. Longboat designed and developed the IESS program – the first of its kind on Turtle Island. Granting both B.A. and B.Sc. degrees since 2009, the IESS program is an innovative and multidisciplinary undergraduate program that brings together principles of both Indigenous and Western (or neo-European/colonial) Knowledge systems for both Indigenous and non-Indigenous learners. It is based on a collaborative partnership between university departments. Unique IESS courses, along with courses in Indigenous Studies and Environmental Resource Studies and Sciences, form the curriculum. Longboat is celebrated for his Traditional Rotinonshón:ni Knowledge and embeds this into his teaching and in developing the IESS program ongoing. 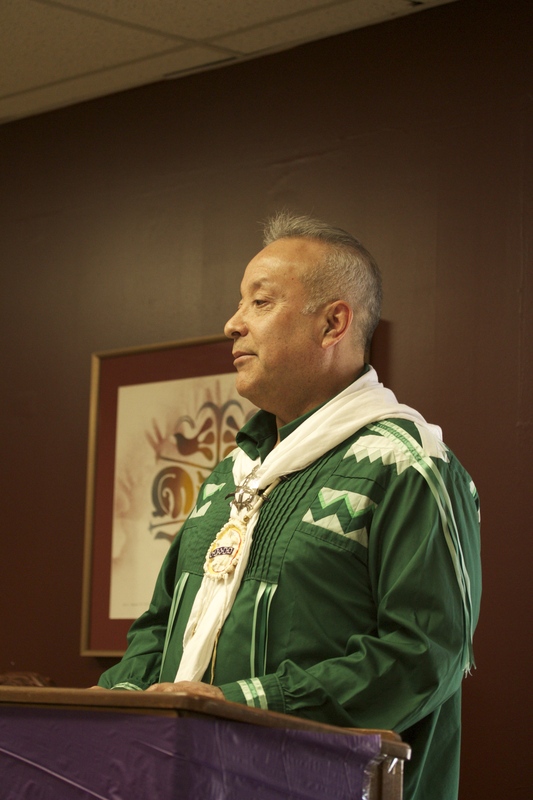 Dan also acts as a cultural advisor and instructor for several programs at the First Nations Technical Institute, Ryerson University and several Ontario universities and colleges. 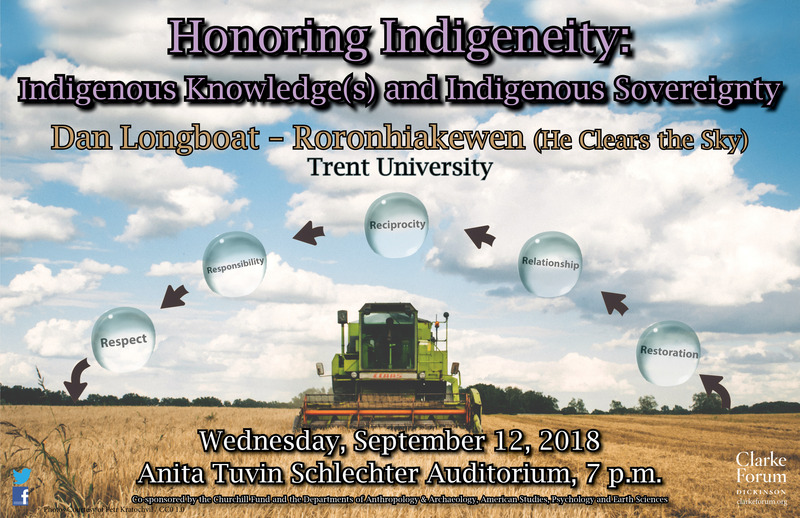 Longboat is invited to share across Turtle Island and lectures and teaches on diverse topics including Indigenous environmental knowledges and philosophy, Indigenous responses to environmental issues, interactive science and Indigenous Knowledge systems, Indigenous education, pedagogy and Indigenous ways of knowing as founded upon Indigenous languages and cultures, the recognition and resurgence of Traditional Indigenous lifeways and practices, human health and the environment, traditional Indigenous foods and medicines, natural resource development and restoration, community sustainability, international Indigenous networks, the recognition of treaty and Indigenous rights and understandings of the environmental and human impacts of colonialism. Longboat stresses the importance of learning from Indigenous elders and knowledge holders as the critical foundation for Indigenous identity, vision and life purpose. He creates links between traditional Indigenous teachings and science and promotes using a “Good Mind” as part of our responsibilities in taking the collective actions needed to restore the earth for the next seven generations. Longboat and Professor Chris Furgal created the TRent Aboriginal Cultural Knowledge and Science Initiative (TRACKS), in 2011, alongside IESS faculty. TRACKS is a youth education and outreach program that offers classroom and after-school workshops, outreach programming and summer camp experiences for children with a focus on weaving Indigenous knowledges with math and science curriculum. Oshkwazin is a new TRACKS program, which works to develop Indigenous Youth Leadership and Advocacy. In 2018, the Indigenous Environmental Institute (IEI) is a non-profit dedicated to public education, professional development and training, and community-based research. Longboat has a B.A. from Trent University in Native Studies with a special interest in Human Psychology. Dan completed his M.E.S and Ph.D. in Environmental Studies at York University where his dissertation, The Haudenosaunee Archipelago: The Nature and Necessity of Bio-Cultural Restoration and Revitalization won the Faculty of Graduate Studies prize in 2009. Kulnieks, A., Longboat, D.R., & Young, K. (Eds.). (2013). Contemporary studies in environmental and Indigenous pedagogies: A curricula of stories and place. Rotterdam, Netherlands: Sense Publishers. Selected Videos 2017 – Indigenous Studies/Dan Longboat (3.29) This features Dan and has information on IESS courses. 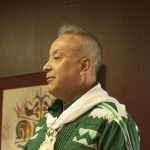 2017 – Dan Longboat: A Way of Life: Indigenous Knowledge to Sustain the World (1.22.04) Dan shares teachings at Dalhousie University’s College of Sustainability in Halifax, NS with an introduction by Mi’kmaw Elder Albert Marshall. 2016 – Sustainability and Indigenous Understandings – Trent Talks (16.13) Dan expounds on Indigenous frameworks for making daily changes in the face of the current environmental issues we face. 2015 – Trent University: Centre for Teaching and Learning – Dan Longboat (4.52) Dan shares understandings of Indigenous Knowledge and pedagogies, Traditional teachings and the benefits of bringing Indigenous Knowledge systems into the academy.